Kerala Chief Minister Sri Oommen Chandy presented the Kerala State Budget 2016-17 for the financial year 2016-17 in Kerala Assembly on 12th February 2016. 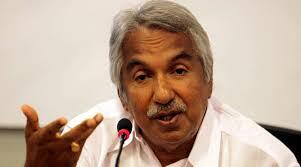 This is the last budget of UDF government of its ruling period of 2011 – 16. Rs 231.45 crore for technical education sector. Token amount has been allocated for KnowledgeCity in Thiruvananthapuram. 2.9 crore for hi-tech agriculture. Two LED bulbs will be given to all homes in state for free. Bamboo technology centre to come up in Thiruvananthapuram. Rs 18.3 crore for hospitals for women and kids. Rs 30 crore for Kuthiravattom Mental Hospital. Rs 20 crore for cancer centre in Kochi. Nursing College to be set up in Harippad. Cancer units in Medical Colleges to be developed. Rs 33 crore for Ayurveda Medical Colleges. Govt to take over Pariyaram Medical College. Rs 100 crore set aside for Pariyaram Medical College. Rs 19.81 crore for homoeo education. Houses under Laksham Veed project to be renovated using 50 per cent of petrol-diesel cess. Rs 5 crore to construct Kannur Civil Station annexe. Rs 25 crore for a single building for sitting of all commissions. Rs 25 crore for waste management authority to be formed. Rs 509.43 crore for labour sector. Rs 16 crore to provide jobs for widows, unwed mothers, and destitute women. Project for beedi workers; a portion from beedi tax to be set aside. Rs 28 crore for NORKA. Rs 456.97 crore for SC development. Cancer patients belonging to SCs to get free treatment. Rs 50 crore for assistance for marriage of women belonging to SCs. Rs 50 crore for revamp of 200 agaraharas. All BPL families to get rice from ration shops for free.